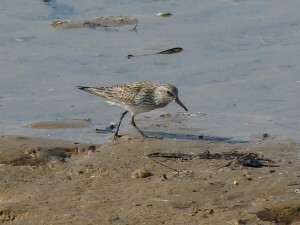 In addition to a Willet, there were a couple White-rumped Sandpipers on Montrose Beach on my May 8 Big Day. The shorebirds I saw in the afternoon pushed my total to 103. White-rumped Sandpipers are uncommon but regular, mostly spring visitors to Montrose Beach. This bird posed obligingly while I took its photo. 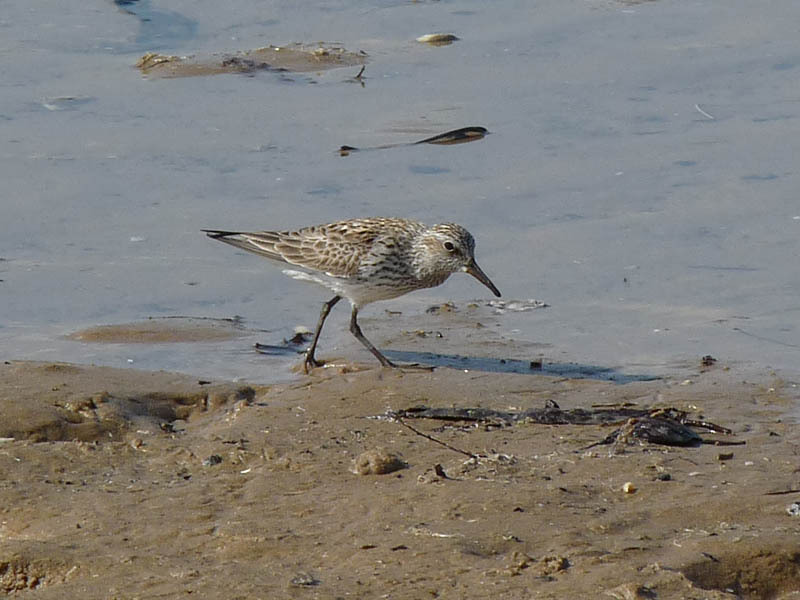 This entry was posted in Spring Bird Reports and tagged Shorebirds, White-rumped Sandpiper on May 12, 2014 by rhughes. I had 13 species of shorebirds on my May 8 Big Day, which helped bump my total to over 100. 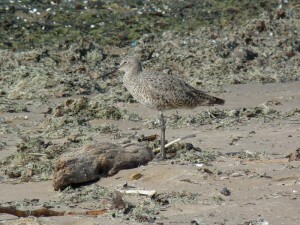 My 100th bird was this Willet, which I saw when I went back out in the afternoon. Willets are uncommon but regular spring and summer visitors to Montrose Beach. 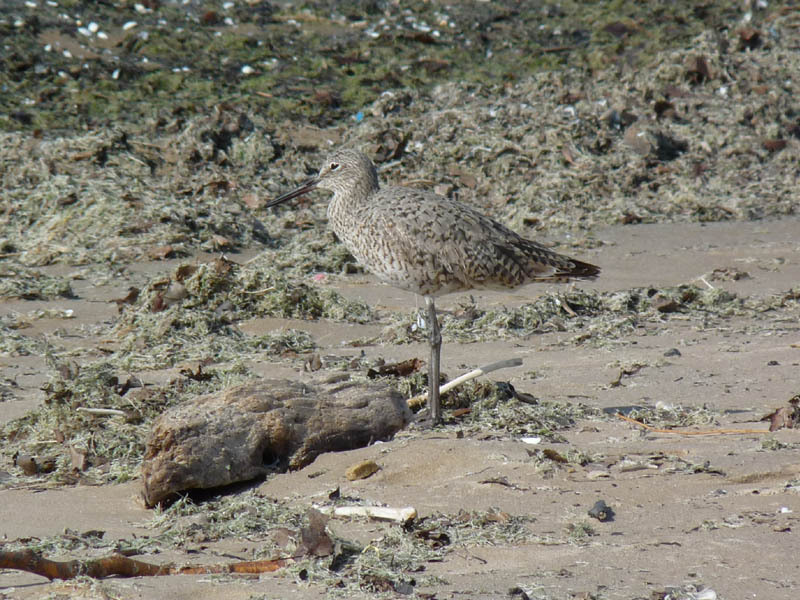 This entry was posted in Spring Bird Reports and tagged Shorebirds, Willet on May 12, 2014 by rhughes. I had decent shorebirds for the day. Going back out in the afternoon actually pushed my total to 100, the Willet being #100. Passerines were fairly strong in general, especially sparrows, and especially White-crowned Sparrows. Catharus thrushes were well represented too. I ended up with 17 species of warblers and I had to work hard for most of them. None were abundant. Vireos were poorly represented and wrens weren’t much better. You always miss things on Big Days though. Still, I think 120 is possible at Montrose on an exceptionally good day in May. This entry was posted in Spring Bird Reports and tagged Best Spring Migration Days, Big Days on May 12, 2014 by rhughes.